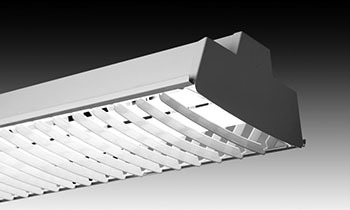 Ideal for commercial or industrial aisle lighting. and is a HID alternative. Replaces 250 or 400 watt. Up to 50% energy savings compared to equivalent metal halide luminaire. Comes surface, stem, or chain mountable and available with uplight component. LED or with fluorescent lamping.